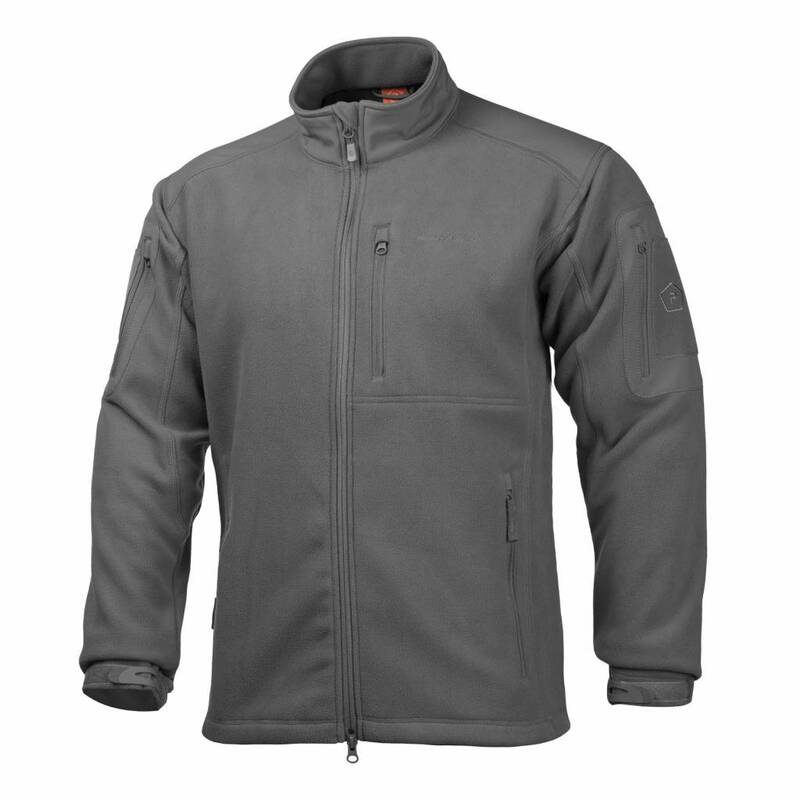 Pentagon Perseus Fleece Jacket 2.0 (Wolf Grey). 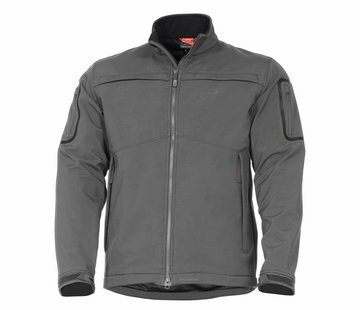 Perseus Jacket, a multi-functional fleece jacket with Tactical orientation, is made from Double Backed Super Fine Fleece fabric that gives to you great Warmth and good Breathabillity. Perseus Jacket has great fitting on body, with 2 large main hand pockets that seal with zippers. You can also find a functional Chest pocket where you can place your personal ID or an MP3 player. 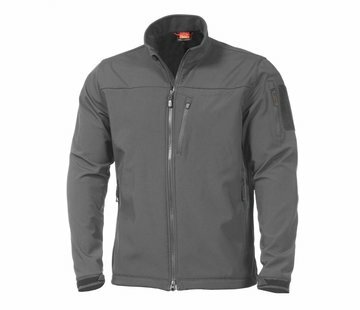 We have also placed a patched sleeve pocket on left arm with soft Velcro on it to add your Insignia there. This pocket can be used to hide small gear or other personal stuff. Also we placed re-enforced elbow patches to protect your elbow better. At the same time we have designed the outer pockets in that way in order to create also 3 alternative pockets at the inner side of the jacket. So we have 2 side inner pockets and 1 more on chest. 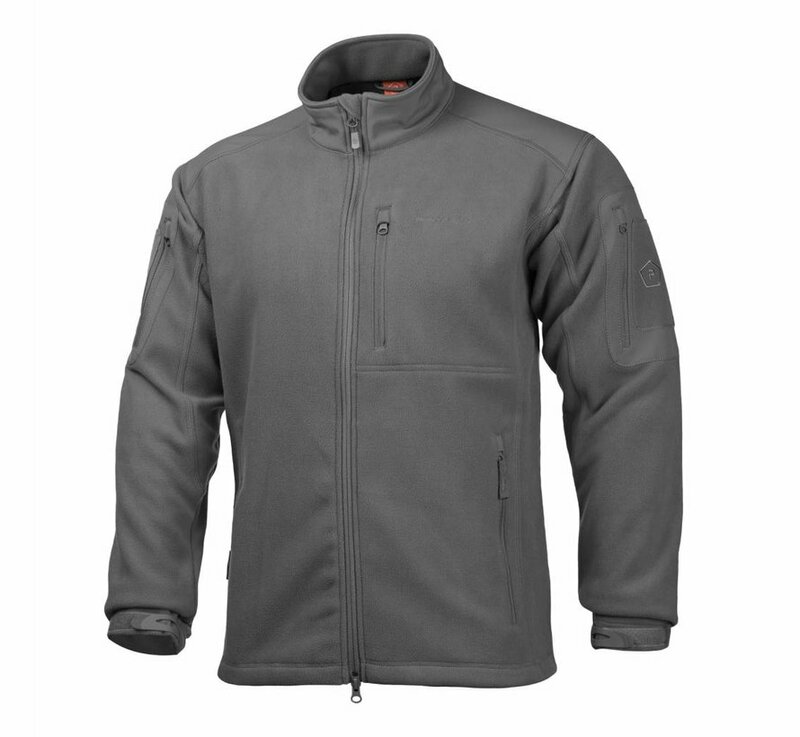 This Jacket is equiped by YKK® main double way zipper with our PENTAGON® zip puller. 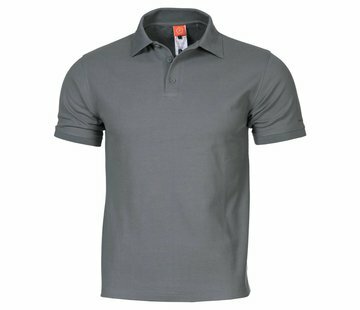 We used the Gasseted Underarms design to have better fitting and of course we placed ventilation zippers in both sides. 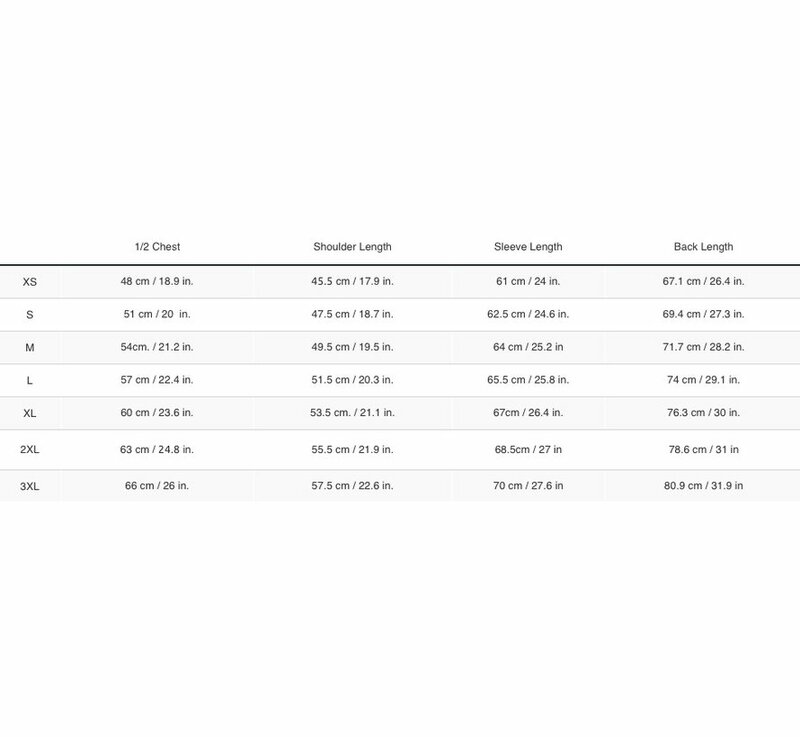 Arm wrists are fully adjustable in both hands in order to achieve the best fitting. 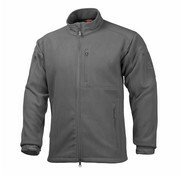 One another feature of this jacket is the high durable Softshell patches that we have placed on Shoulders and neck area in order to give strenth on that area if you wearing your gear on.. Neck protector is designed in that way to achieve the best protection around your neck and keep it warm in low temperatures and strong winds.